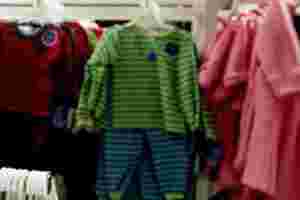 Mumbai: Warding off an immediate threat of liquidation of Lilliput Kidswear Ltd, lenders to the retailer have given it more time to repay debts that were due earlier this month and may extend short-term funds to run the business. The New Delhi-based retailer, which moved court earlier this month to prevent Bain Capital Llc. and TPG Growth from exiting the company because of an alleged corporate governance failure, has hypothecated its current and fixed assets to three banks, show documents filed with the Registrar of Companies (RoC). The two PE firms, which together hold a 45% stake in Lilliput, have accused founder Sanjeev Narula of fudging the company’s financial accounts. “Our lenders might sanction short-term loans to meet working capital needs upon approval from (banks’) top management," the Lilliput spokesperson said. “However, the fund-based long-term loans will be sanctioned only based on the independent auditor’s report." The lenders have set a deadline of 30 November for the auditor, Anil Agarwal and Co., to submit its report on Lilliput. They have given the company until 1 November to repay the outstanding ₹ 35 crore, or risk a default. “There are serious concerns about the alleged fudging of accounts as all the loans given to the company were based on its past audited accounts," a senior official of Allahabad Bank, one of the lenders to Lilliput, said on condition of anonymity. The other lenders are ICICI Bank Ltd and Oriental Bank of Commerce. While the kidswear retailer doubled its showroom floorspace in the past year, its debt tripled to about ₹ 500 crore, the company spokesperson said. Massive expansion on borrowed money has proved risky for many large retailers including Subhiksha Trading Services Ltd, Koutons Retail India Ltd and Vishal Retail Ltd.
ICICI Venture Funds Management Co. Ltd, which had invested in discount retailer Subhiksha, had in court filings against Subhiksha in 2009 alleged lapses in corporate governance by the management, besides concerns over its financial health and liabilities. ICICI Venture had to write off a part of its investment in Subhiksha. “It’s difficult for retail companies to scale up from the overall real estate cost perspective," said Amit Gugnani, vice-president, apparel operations and engineering, at retail consultancy Technopak Advisors Pvt. Ltd. As stores expand, they need debt not just to meet real estate costs but to hold up inventory as well, he added. In December 2009, August 2010 and January 2011, Lilliput’s management availed loans from Oriental Bank, Allahabad Bank and ICICI Bank by hypothecating its raw materials, goods in process, finished goods in godowns and in transit, movable plant machinery, tools motors, lorries and cash receivables, according to documents filed with the RoC. Narula has also pledged his own properties with the banks as personal guarantee. The company has pledged its cash reserves as well with the banks to avail short-term loans. Lilliput’s spokesperson said it was not unusual for a retailer to hypothecate assets to raise funds. “Going by the documents, the company is highly leveraged. There is no headroom left for the company to raise fresh money," a senior legal compliance officer of a shipping company said. “If the accounts are indeed fudged, the banks will not be able to recover their money." On 20 October, ratings agency Icra Ltd downgraded Lilliput’s rating after the company defaulted on its loan repayments due in October. “The rating downgrade takes into account the default on the commercial paper by LKL (Lilliput) on account of deterioration in the fund-raising ability of the company following disputes among the shareholders in the company," Icra said in a statement. “The rating downgrade also factors in the significant inventory build-up being witnessed by the company in the backdrop of its aggressive expansion plans and the ongoing funding issues are likely to exert further pressure on the cash flows and liquidity of the company."